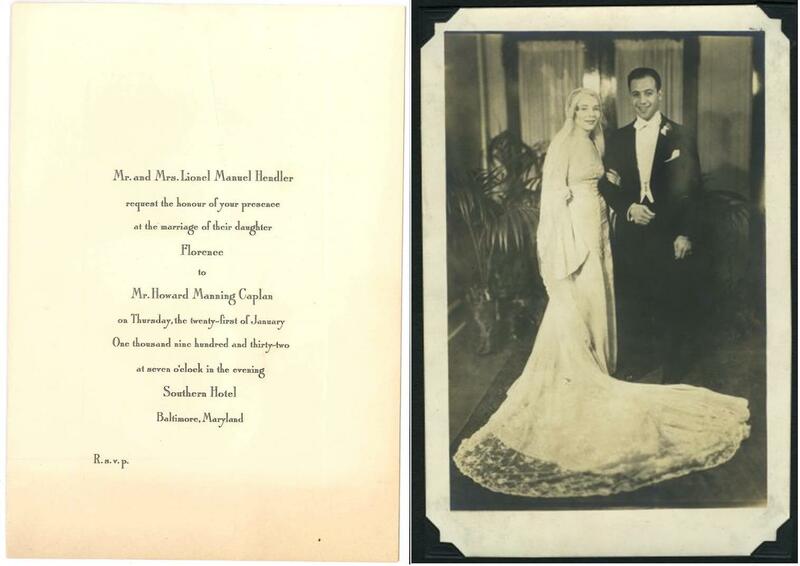 In last June’s JMM Insights I let you know that we were working on a project to draw objects, photos and documents from our rich collection to create the exhibit Just Married! 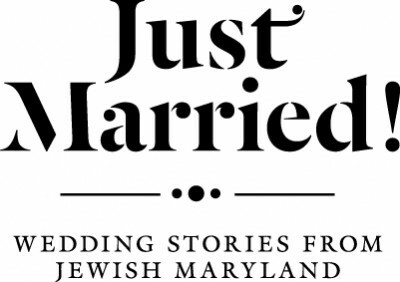 Wedding Stories from Jewish Maryland (link: to the JMM insights article). Six months later we are well on our way to our goal. 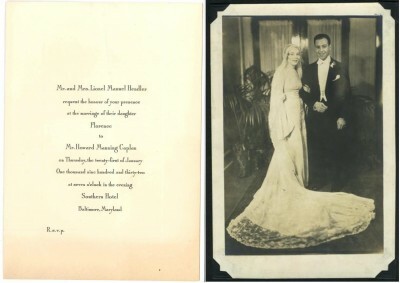 Joanna has combed our vaults for the most interesting invitations, ketubim, party favors and of course, beautiful wedding gowns. We have engaged an innovative design team led by Jeremy Hoffman of Ashton Design, a Baltimore firm. 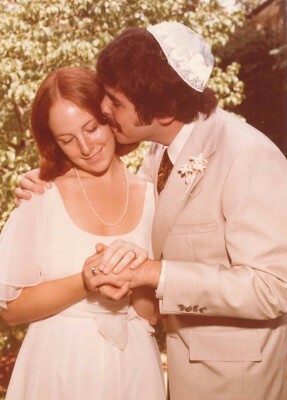 We are working on organizing all of the material into themes, looking at provocative questions about the meaning of the wedding and its symbols, the obstacles couples face and the way we remember wedding days. We even have a section on the business of weddings. Our education team is developing interactive experiences that we will incorporate into the exhibit – can you match the menu item or wedding tune with the right decade? 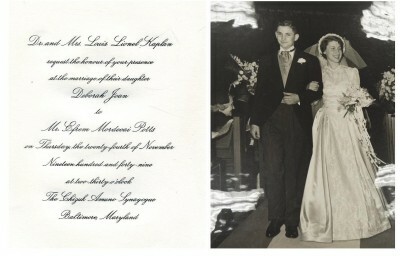 Here you can upload wedding photos and invitations (you can’t upload your gown, but a photo is much easier to store). While not every photo may be displayed in the exhibit, all of them will become part of our on-line catalog…and who doesn’t want the chance to say that their wedding or their parents’ or grandparents’ wedding is preserved in a museum. Besides preserving your own family history, you will be helping us build a documentary database of the wedding experiences of Jewish Maryland over time and this database will be of value to future generations. Our highest priority is to get a photo, an invite and basic factual information on as many weddings as you can. 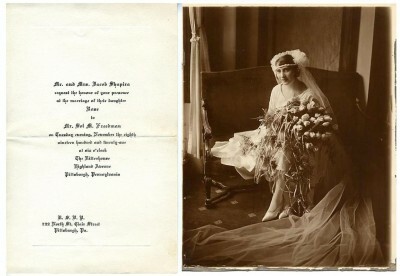 It doesn’t have to be your own wedding – but make sure that you have permission to send us the image; we don’t want to hear from Aunt Sadie that she never intended that bridesmaid’s dress to go public. …but I like it anyway. So help us demonstrate the incredible diversity of loving relationships in our community and in our state. Add your image to the collection this December and we’ll thank you for it on Valentine’s Day!